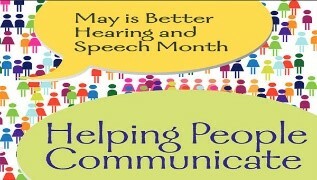 May is here and It is always fun to bring awareness to the field of Speech and Hearing and let people know a little bit more about what SLPs do every day! Need ideas for how to celebrate Better Speech & Hearing Month? We hope that you find these materials created by other speech-language pathologists and professionals helpful this month to share with your students, colleagues, and parents!